Barcelona FC have unveiled their 2014/15 season away kit. 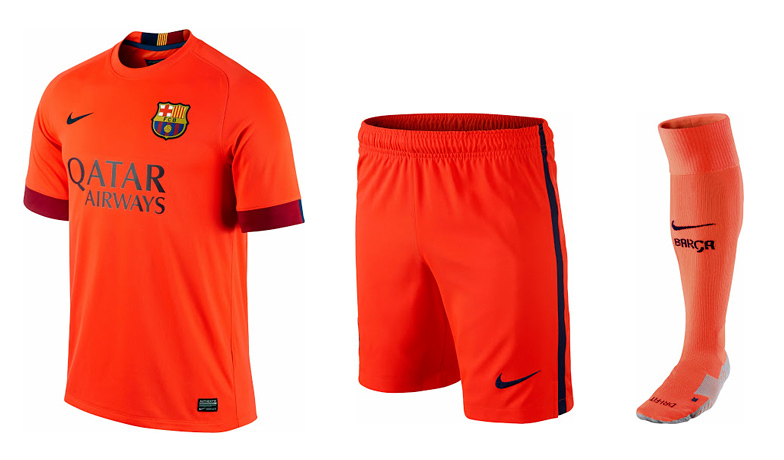 The kit is produced by Nike and it's bright orange color is a flashback from 2009/10 and 1992 seasons. The advertisement on the front is for Qatar Airways, while on the lower back side there is a Unicef sign in yellow. There is also a small Catalan flag detail on the back collar. To view Barcelona's 2014/15 home kit - click here. The club's third kit is yet to be presented.